Welcome RT Wolfe back to the blog! So glad to have you back! Thank you, Krystal. I’m thrilled to be back on your beautiful blog. You’ve done an amazing job with it! I am the author of the Black Creek Series set in beautiful upstate New York. I enjoy creating diverse characters and twining them together in the midst of an intelligent mystery and a heart encompassing romance. It’s not uncommon to find dark chocolate squares in my candy dish, my Golden Retriever at my feet and a few caterpillars spinning their cocoons in their terrariums on my counters. I love my family, gardening, eagle-watching and can occasionally be found viewing a flyover of migrating Whooping cranes. I’ll always say that writing found me. I did not go looking for it. 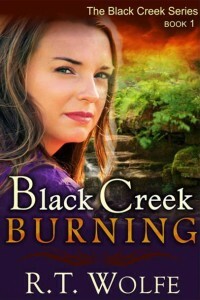 I’m not sure what made me type out the first few lines of Black Creek Burning. It wasn’t my style. Two lines turned into two pages that turned into two hundred pages and more. It was like crack cocaine and I’m never going back. The process, the research, the editing, the hours in one spot (7,500 words in one seven-hour sitting at Panera is my record), I completely love it all. The book has earned a 4.8 star average on Amazon and has been featured on the USA Today Happy Ever After blog. I’m so incredibly blessed. Ugh. That’s a hard one. My favorite? I would say it is when a reader messages me to tell me they are holding their eyelids up with toothpicks because they couldn’t put down my book. So kind! 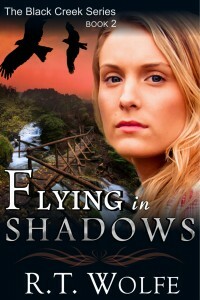 Flying in Shadows is Book 2 in the Black Creek Series. Book 1 is more of a prequel to books 2 and 3. Andrew Reed grew up with an instinctual need to keep an eye on his best friend. Not that Rose couldn’t take care of herself. Wild and sassy, she could hold her own in a fight, yet turn on a dime to volunteer at the local zoo or animal shelter. It wasn’t until later in life when Andy discovered his instincts were well founded. Rosemarie Piper spent much of her life hidden from a brutal past she didn’t know she had. As the most upcoming conservation biologist in the Northeast, Rose works to find common ground with her passion to preserve nature’s creatures and the fact that the love of her life turned into a builder and land developer. Little do either of them know their differences in life choices won’t be the only thing that works to keep them apart. When the violence from Rose’s past discovers her existence, she and Andy fight not only to keep their love together but to keep Rose alive. Walking in the dark, Andy readjusted his tackle box. Moonlight shone on the dark ripples creeping down Black Creek. He spotted a raccoon as he crossed the bridge. Startled, the animal hissed at him. Andy stomped his foot and hissed back; he was in no mood for it. In his peripheral vision, he saw movement Larger movement. A man? The shape disappeared as quickly as Andy imagined it. When you let yourself get this worked up, you start seeing things, he chided himself. She would calm him down and lighten his mood, help him feel normal again. He looked at his watch and winced. What were friends for if you couldn't count on them to be there? Even at this time of night. Or morning. Rose slept soundly in her twin bed dreaming of her favorite spot at the zoo. In the small rain forest building, she allowed a newly emerged monarch butterfly to dry its wings on her apron while sharing facts about the insect to one of two visiting young boys. The other threw pebbles into the nearby wishing pond. The sound of the small rocks plunked as they hit the stone wall before dropping into the water. Oh, crap. She woke and sat up straight. The plunking noise came from outside, not in her head. Heart in her throat, she ripped off her blankets and hustled across the hard floor to the window. It was still pitch-black out. "It is tomorrow." He held up fishing poles and tackle box. "It's not tomorrow until the sun comes up." Tugging on a pair of jeans, Rose smiled wildly to herself. This reaction she had to Andy Reed had to stop. It was not healthy. "I've got the worms." he called. "Get down here." I try to be a plotter. I am a plotter in other areas of my life. But the characters are constantly pulling me away and making me re-outline. I don’t mind. After many queries and submissions, I was offered a contract by a smaller publishing company. That didn’t work out and I was able to get my rights back (that actually hardly ever happens). I am now with ePublishing Works and loving the intelligent, data-driven work and marketing through this company. In the words of my aspiring author friend, Kate Bateman, “Finish the damn book.” LOL The biggest obstacle I see in new authors is the guts to finish. I won’t say it’s easy, but it’s worth it! Such a thought-provoking question. I’ve learned it mostly not true. What I mean is I know of quality self-published author works and truly awful published novels. The traditional standards of the publishing world are IMO still heavy-laden on authors. I see unconventional publishing companies such as Entangled and ePublishing Works who are proving to be highly successful and author-friendly but are looked down upon because … well … they are unconventional. Interesting. The square pegs in a round world! LOL! I do, Krystal. Thank you for asking. Book 3 in the Black Creek Series is tentatively set to be released April 1st. I had barely gotten it to my editor before three more series were buzzing holes in my head. Decisions. I have three boys who are swimmers. I spend many nights and weekends traveling around the Midwest attending their meets. I can often be found in bleachers with my laptop in my lap. I love working my golden retriever, could spend days upon days in my gardens and love learning about nature. Right now, I need to get to a beach on the east coast. One of the series buzzing those holes in my head features a conservation biologist who specializes in the protection of sea turtles and a rogue deep sea treasure hunter. Fun. Boxer-briefs. Sorry, I know that cheating. Completely cookies. I gave up sweets for Lent. Trying not to think about it! Pizza with the works! This is not a sweet. Whoop! Budweiser. Bottle. Not Bud Light. Red wine when I’m being healthy. Andy: Rose was five-years old, bossy, rude and cussed like a sailor! Rose: Andy was a pansy. I taught him better. Andy: Rose is a survivor. But she shares her nature of survival with those less able to fight for themselves, mostly the endangered animals she adores. Rose: Andy can talk his way in and out of just about any situation. I wish I had that skill. I guess Andy has stepped in for me with his thousand watt smile and quick tongue, like with Whooping crane reserve land and that time in grade school when I got in the ‘spat’ with the boys on the playground? Yeah, he’s handy alright. Andy: Win the girl and keep her alive! Rose: I’m too busy to think about anything but my work. Eagle bandings, presentations, protests, the care of injured animals. I don’t have to time to plan for anything, especially my broken heart. Websites, Blogs, Twitter, FaceBook, etc. 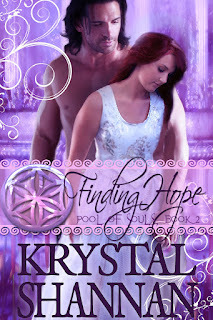 Thank you for having me back on your lovely blog, Krystal. 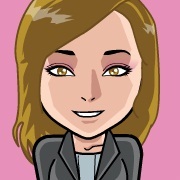 Thank you, Teena, and good luck! Another good blog posting, RT! I too gave up sweets for Lent, and it's a killer. No more of those dark chocolates in your candy dish, eh? How long 'til Easter? 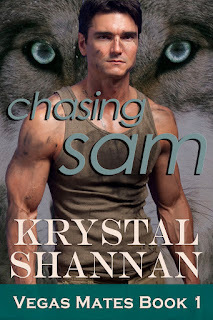 And speaking of things long awaited for, I loved books 1 and 2 of this series,BLACK CREEK BURNING and FLYING IN SHADOWS, and can't wait for book 3! Your kind words and support are appreciated, M.J. Thank you for stopping by. 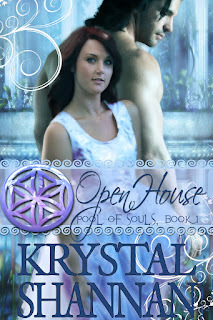 Krystal has a beautiful blog.